CVS Health made big headlines earlier this year when they announced they would discontinue the sale of tobacco products in their stores by October. The move was risky. They bet their bottom line that positioning as a "healthier" destination would compensate for the loss in sales. Many applauded their noble move. Fast forward several months, and it turns out there may have been an ulterior motive designed to recoup the sales losses through a strategy with the PBM branch of their corporation, CVS Caremark. This recently revealed move seems suspiciously self-serving, as they will begin to offer plans that raise patient copays at competitor pharmacies that still sell cigarettes. The net result will be that patients will be discouraged from using pharmacies like Walgreens, Rite Aid and Walmart and (almost) forced to go to places like CVS or Target that no longer sell tobacco. 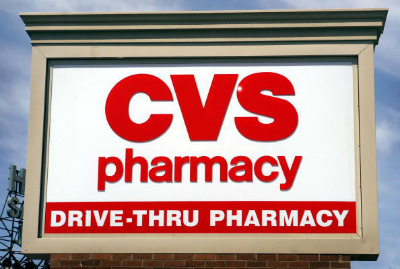 Adam Fein (as quoted in the The Wall Street Journal) of Pembroke Consulting, agrees, stating "CVS retail drugstore business will certainly benefit, because prescription volume will shift into CVS retail pharmacies from other drugstore chains." When we pull back this mask of benevolence, what we seem to find is a business strategy in disguise. As the once popular radio broadcaster Paul Harvey was fond of saying, "Now you know the rest of the story." But what's the big problem with all of this? An inescapable conflict of interest exists when companies like CVS Health own both the pharmacy chain and the PBM network. They are, in essence, both the driver and the destination. They have stacked the deck, and they are dealing the cards. That's not a game you want to play. Smoking is unhealthy. We all know this. But smokers who go to CVS aren't discouraged from smoking by this new benefit move. If they happen to live next door to CVS, they will continue to use them and pick up their tobacco elsewhere. At the same time, a nonsmoking Walmart or Walgreens patient will end up getting penalized with higher copays even though they don't smoke and may be cautious about their health. Tell me: Does that make any sense at all? We all know that health plans have a vested interest in keeping costs under control, and they have a variety of mechanisms in place to do so. They will use copay strategies that encourage the use of lower-cost, equally effective generics in place of more expensive brands. They design their prior authorization process to limit more expensive prescriptions only to patients who have failed treatments with cheaper therapy choices. They will even negotiate rebates with brand manufacturers and give a better formulary status to those companies to help reduce their spending. But the notion of raising copays on patients just because they choose to shop somewhere that sells tobacco doesn't address their health status at all. It's simply about driving traffic to their stores and deceptively charging patients more for going elsewhere. It is one thing to limit your network. Health plans do that all the time. By working with only select pharmacy networks they create a market favorable to lower reimbursements in exchange for higher volume. This is just basic healthcare economics 101. But charging patients more for using one network location, rather than another, is arguably a horse of a different color. It's confusing to patients, and copay structure is already confusing enough as it is. It is likely that many patients enrolled in these plans will unknowingly be paying higher copays, thinking that all network pharmacies charge the same price. As a practicing retail pharmacist, I think the last thing we need is to inject more confusion into a system that is already hard enough to navigate as it is. Problem 4: Where does it end? The final problem with the move by CVS Health is simply this: Where does it end? If they will raise your copay for shopping at stores that sell tobacco, what comes next? How about raising your copays if you shop at stores that sell candy or ice cream or potato chips? Those things are, arguably, equally dangerous if consumed in sufficient quantities at least. Or what about charging you more for using a pharmacy located next to an unhealthy fast food chain? We know how tempting it can be to grab a 99-cent heart-attack-in-a-sack, so maybe patients should be discouraged from even go near such places. I'm sorry CVS Health, but it seems that this move is more about a healthy bottom line than the health of your members.